Great Key Chain and a perfect gift for any My Little Pony fanatic! Show off your keys, purse, backpack or any other item with this unique charm! Choose from many styles (see main photo). Perfect accessory for ladies and men of all ages! Add flare to your key ring, purse, backpack, etc with your own super cute, pony! 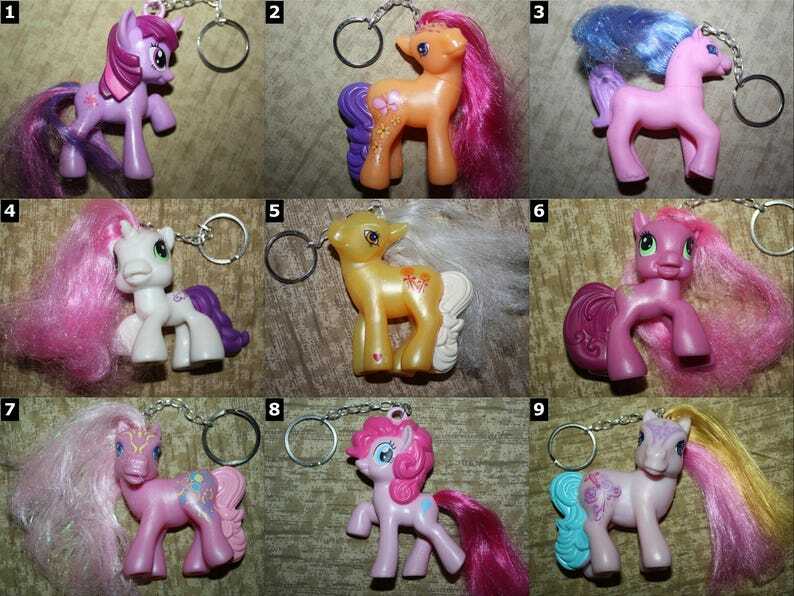 and baby Pony Keychains here!